This simple, healthy 4 ingredient beet smoothie can be made with raw or cooked beets for nutrient-dense drink. Vegan and paleo friendly with no added sweeteners, this beet smoothie is a great way to use up leftover cooked beets. I have a confession: I don’t like raw beets. Cooked, fermented and pickled I’m okay with but raw beets are just too earthy for me. They kind of taste like dirt. Yup, I’m in the ‘raw beets taste like dirt’ camp. Guess what? There is a reason that some people, myself included, think raw beets taste like dirt. According to Irwin Goldman, beet breeder and professor of horticulture at the University of Wisconsin, beets contain an organic compound called geosmin that gives them their earthy taste. An organic compound produced by microbes in the soil, geosmin gives off a smell like freshly plowed earth or a field after a rainstorm. Human noses are very sensitive to geosmin, and while some people don’t like it, others love it. Other foods high in geosmin include spinach, lettuce and mushrooms. Since beets are full of amazing nutrients, I still find ways to incorporate them into my diet. That’s how this beet smoothie was born. With just a few ingredients, it’s simple to make and delicious to drink. And it doesn’t taste like dirt. Beets are full of amazing nutrients. * The beetroot, the most commonly used part, can be consumed raw or cooked. For more health benefits of beetroot check out this article Five health benefits of beetroot. This nutrient-dense beet smoothie is super simple to make with just 4 ingredients that you probably already have in your kitchen. 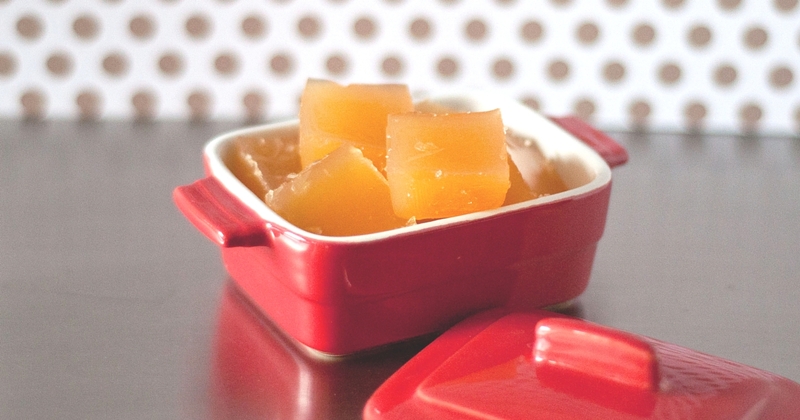 Use red or golden beets. If you like raw beets, go ahead and use them! You’ll need to peel and chop them into small pieces before adding to the blender. 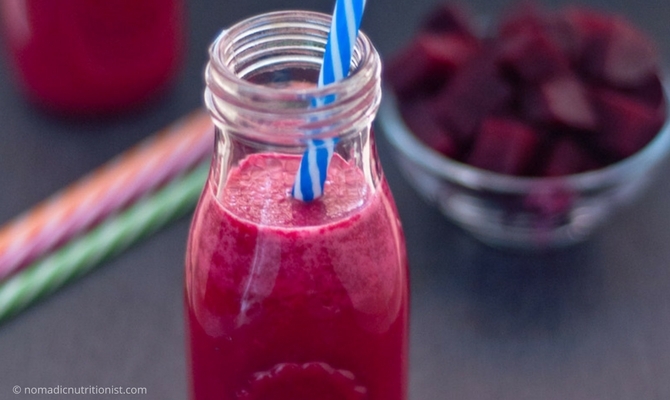 Include some fresh greens to this beet shake for added nutrients. Start with a milder flavoured green like spinach. If you’re feeling a bit more adventurous use some of the beet greens. 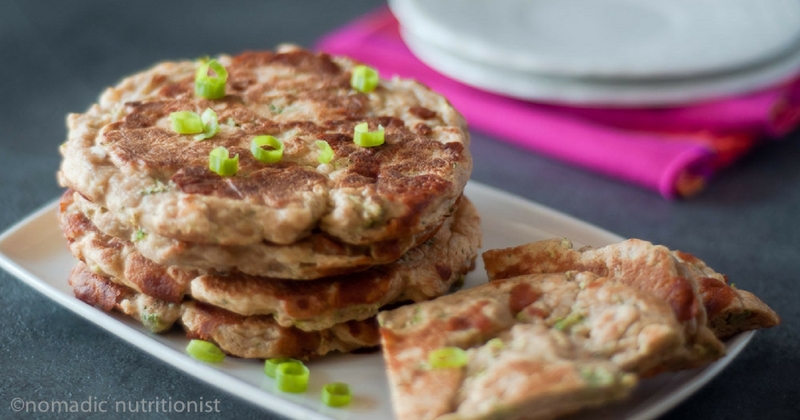 Add in your favourite unflavoured protein powder or collagen. I used coconut milk for this beet smoothie but almond, cashew, oat or any other dairy-free milk can be used. Simple, healthy 4-ingredient beet shake. Vegan and paleo friendly with no added sweeteners. 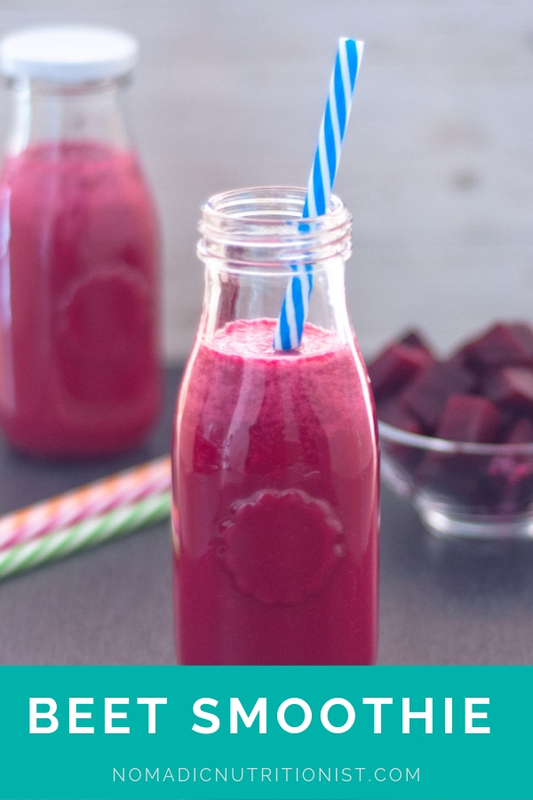 Whole beets make this delicious, brightly coloured smoothie delicious and nutritious. Roughly chop beets and add to the blender jar. Add additional liquid if this is too thick for your liking. 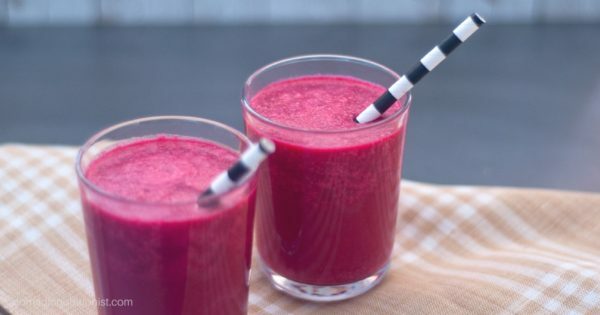 Once the beet smoothie has been blended, add some ice and blend again for a frosty drink.